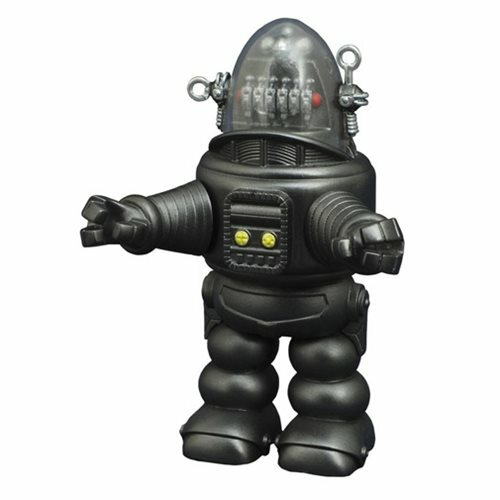 From Forbidden Planet, comes one of the most advanced robots of all time - Robby the Robot! A triumph of engineering when he made his acting debut in the 1957 sci-fi classic, Robby went on to become one of Hollywood's most famous robot actors, and now he's here as this 4-inch tall Diamond Select Toys Forbidden Planet Robby the Robot Vinimate Vinyl Figure. Sculpted in block-figure style, Robby comes packaged in a full-color window box.